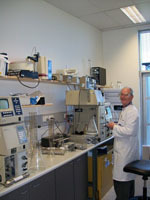 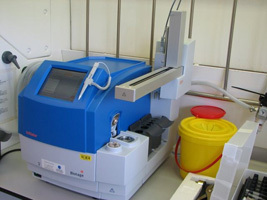 The Fairlie Laboratories are equipped with, or have access to (within the IMB), a variety of state-of-the-art equipment both for synthesis and characterisation of small-molecules and peptides and for their evaluation in a range of biological systems. 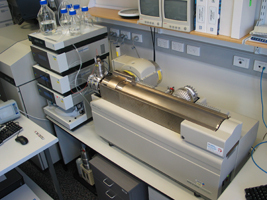 1) NMR Spectroscopy. 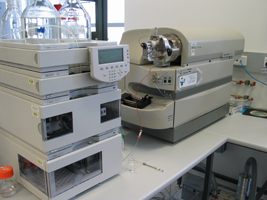 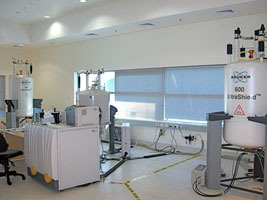 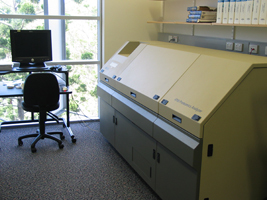 Adjacent to the synthesis laboratories on level 7 is an NMR facility, housing two 600 MHz Bruker NMR spectrometers with inverse probes (one 1H-13C, one 1H-X), one of which also has an LC-NMR probe and attached HPLC system available for use. 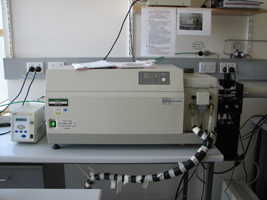 These machines are typically booked a week or more in advance, whereas the Varian 400 MHz instrument is used as a walk-up machine for quick turnaround spectra and also has an autosampler for queuing samples overnight or during weekends. 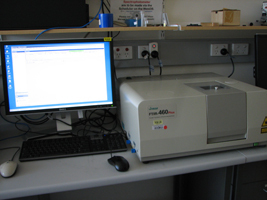 The 400 MHz spectrometer is equipped with a software-switchable quad-nucleus (1H, 13C, 19F, 31P) probe. 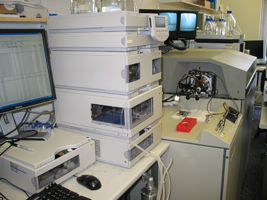 We also use a 900 MHz instrument on level 2 where there are 2 more NMR (500, 600 MHz) spectrometers which primarily serve the structural biology groups at IMB. 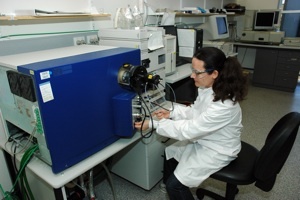 2x 600 MHz Bruker NMRs; Annika Yau using a 400 MHz Varian NMR; 900 MHz Bruker spectrometer. 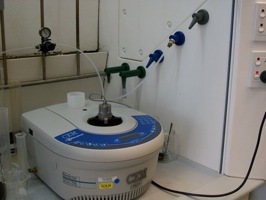 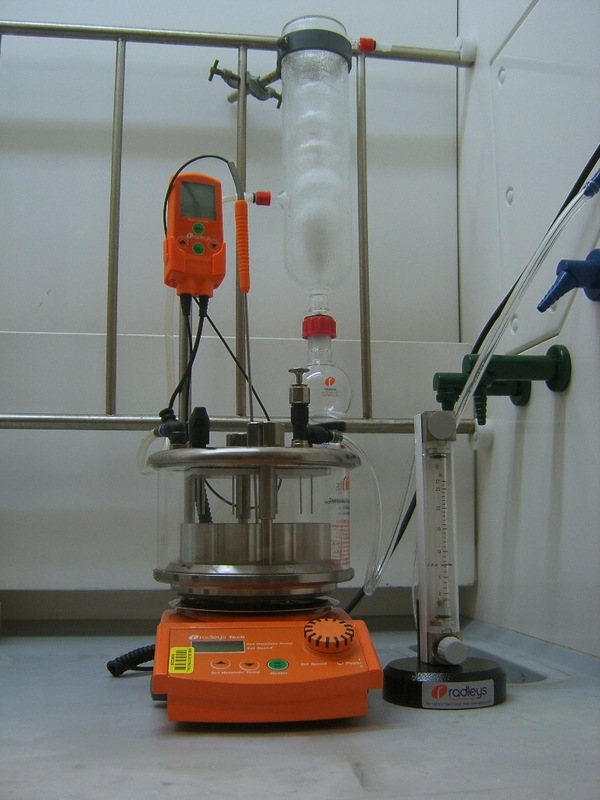 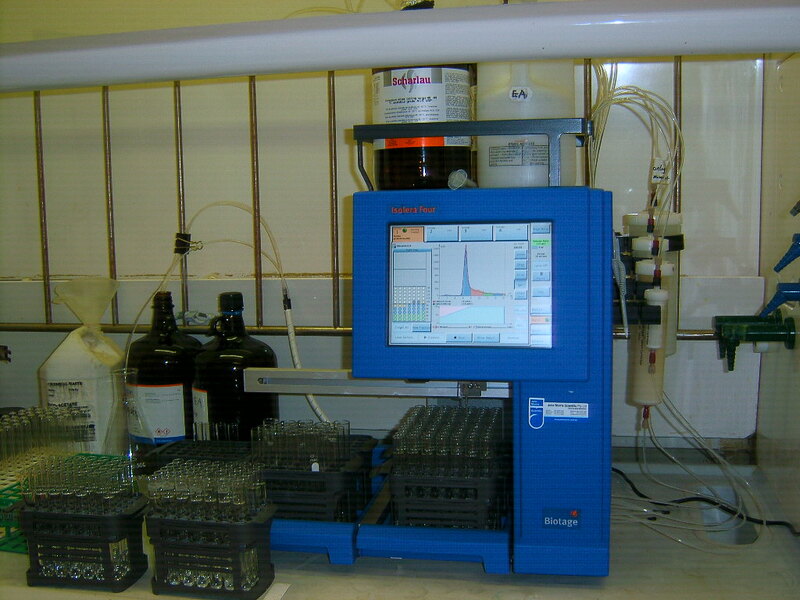 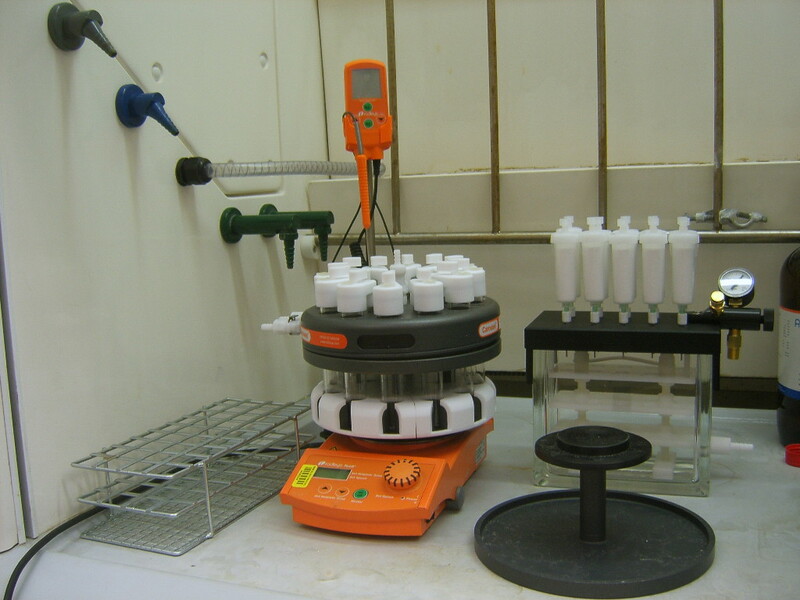 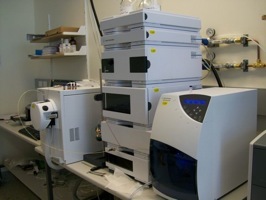 3) HPLC equipment. 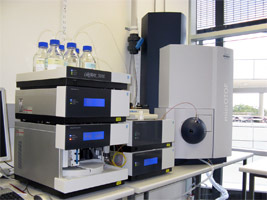 Waters Analytical, semi-preparative and preparative (Deltaprep) systems, Agilent Analytical, automated semiprep, and LC-MS systems. 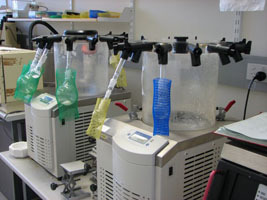 4) Freezer driers and Biotage and CEM Microwave reactors. 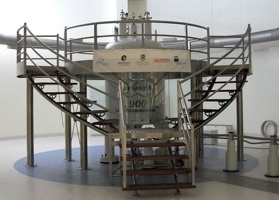 7) Molecular modelling facilities. 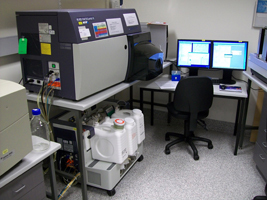 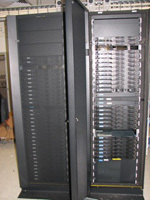 We use a dedicated molecular modelling room which houses Linux and SGI workstations. 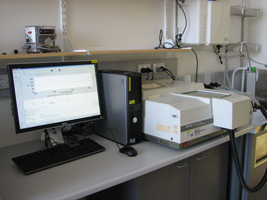 Software in use includes the Sybyl suite of programs from Tripos, InsightII, modeller, Pymol, CNS, Xplor-NIH, the openeyes suite (inc. Omega2, ROCS, EON, FRED), Gold, Dock and Autodock for docking requirements. 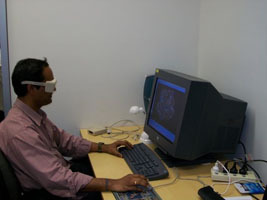 Additional shared access workstations (Mac, Linux, Windows) throughout the office area can access this software remotely or in some cases native MacOSX and Windows versions are available. 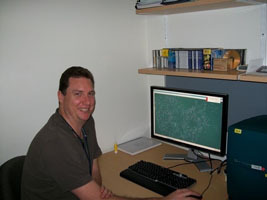 Larger parallel modelling jobs such as large scale docking of our 50 million compound databases, molecular dynamics, and conformer generation/searching are usually sent to the shared IMB cluster infrastructure. 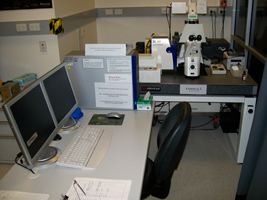 There is also located in the IMB in shared modelling and bioinformatics space on level 6 West. 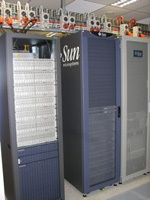 Dr Andrew Lucke and Dr Praveen Madala at computer modelling machines, middle pictures are the server and 40 cpu cluster facility. 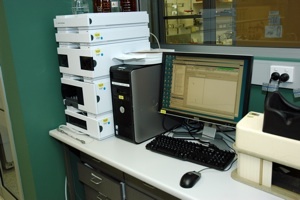 Real time PCR: 2 ABI Prism 7000, 2 ABI 7500 and 1 ABI 7900. 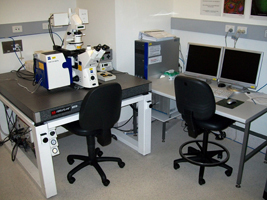 L, C - Zeiss LSM-510 META inverted microscope (1 with blue laser diode system, 1 is 2-photon capable), R - BD FACSCantoII flow cytometer (with 8 colours).